Your weekly streaming pick is here. Good Girls can be seen on Netflix but is actually an NBC show. I’m not positive, but this may be the first network streaming pick we’ve done. 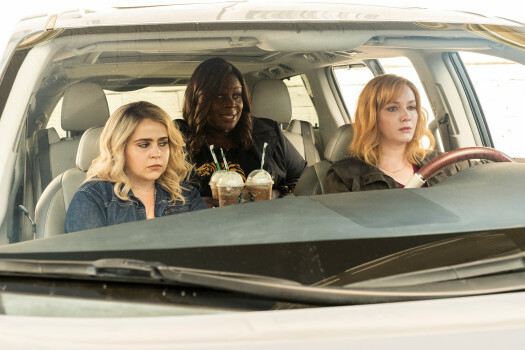 Good Girls follows three suburban women who find themselves each in a unique circumstance that binds them all into needing the same thing. A big chunk of money, fast. Beth (Christina Hendricks), her sister Annie (Mae Whitman), and Ruby (Retta) are all best friends. These three are inseparable. When Annie suggests they rob the grocery store she works for the other two aren’t having it… until they are. The robbery unroots the fact that the store is a front for a money washing plot. The three women dig themselves into an ever deepening pit of crime. The show is a surprising amount of fun. The regular networks feel as if most of their shows are stale in a streaming everything world. 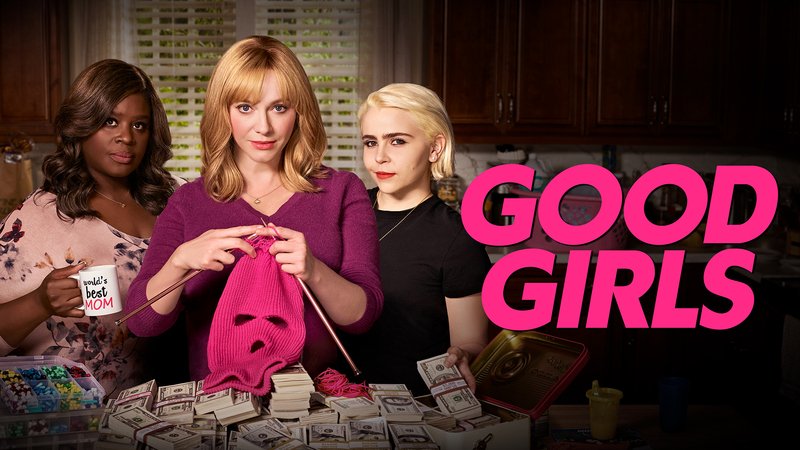 Good Girls is a reminder that network distribution isn’t a bad thing. NBC is the network that gave us The Office and Parks and Recreation after all. It’s a comedy at heart but does hit the dramatics as well. When the show goes from serious to dramatic, and quickly back again, the changes are abrupt. It can be a bit jarring at times, given the overall feel of the show. The weighty moments are good for moving the plot along, though a more subtle approach would go a long way. Creator Jenna Bans has an impressive resume producing and writing for TV. She had been a big part of Shonda Rhimes TV empire which likely explains why the dramatic moments get as heavy as they do. It feels like Bans watched, and of course loved, Breaking Bad. Good Girls feels like she decided she could do her own version, just sillier. The beats feel like parodied mirrors and the hero gone bad but for good reasons plot is ever present. The up and down cycles of things working, life is good, etc are there as well. The interpersonal relationships are unique to the series, however. The unwavering loyalty of three best friends is definitely not something Breaking Bad took part in. Even when the show isn’t firing on all cylinders the friendship remains the steadily beating heart of the show. Good Girls isn’t perfect but it gives three quality roles to three quality actresses. It has charm, legitimate laughs, and some good drama that isn’t always heavy handed. NBC claims the stakes are higher in season 2. This is one worth catching up on and seeing how it develops.